Without a doubt this is the best slipper you'll ever own. It's extra cozy with ultra-long shearling pile. For years we've carried a similar slipper in a medium brown color but we've updated our assortment with this combination of grey and black - and it couldn't have turned out more lovely. 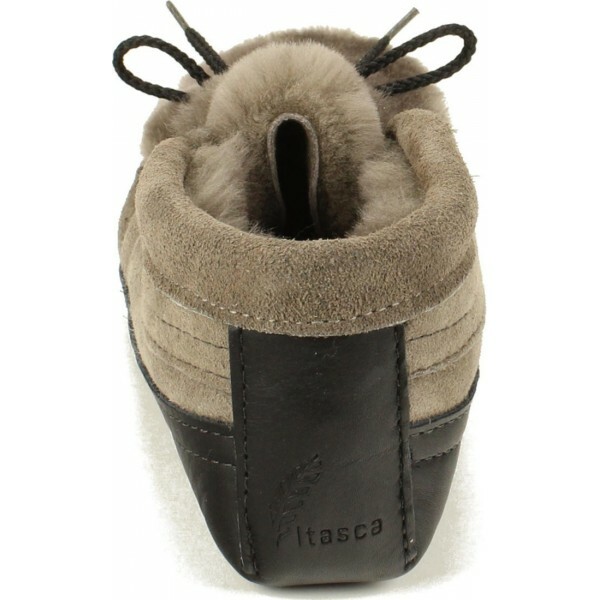 The shearling is double-face tanned - a more expensive process in which both sides of the sheepskin are tanned and dyed. 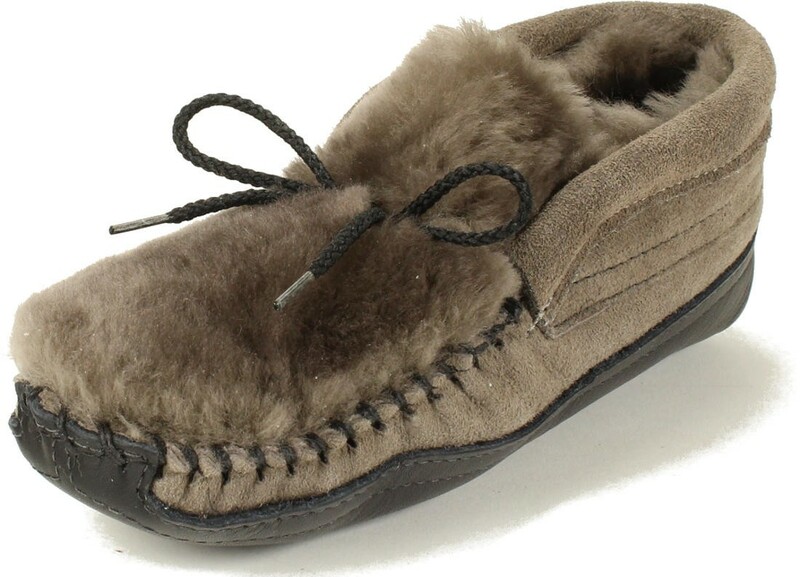 Most companies that make shearling slippers use a substandard grade of sheepskin that's tanned and finished on one side only - meaning they need to cover the suede side with another leather or material. These are made without an inner sole and thus they're easy to pack and withstand being crushed and crammed into suitcases. 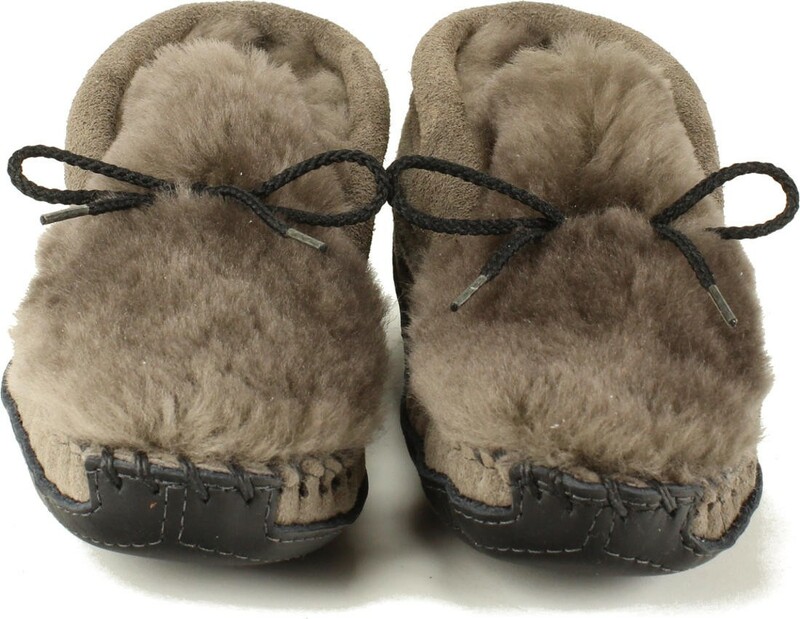 They are warm and cozy but with the absence of a rubber sole they breathe and keep the feet from getting overheated or stinky. 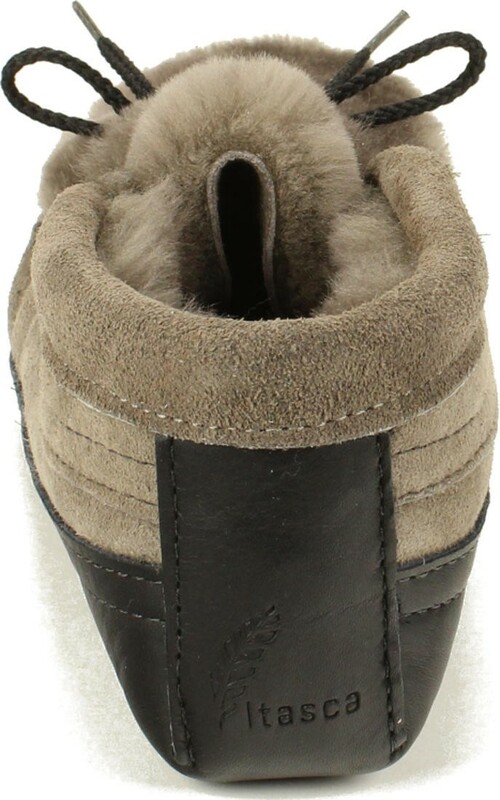 The furry-side-up toe adds visual interest and makes it easier to slip on and off. These are intended for indoor use but will withstand very light duty use outside - such as running to get the morning newspaper or the daily mail. Careful - they're slippery on snow and ice.